In this event, members of the GCF Board and representatives of National Designated Authorities (NDAs) implementing GCF-funded projects shared perspectives on GCF progress. An update on GCF operational developments in the first session was followed by experiences and challenges of engagement with the GCF in the second session. Carolina Fuentes, GCF, moderated the event. Howard Bamsey, Executive Director, GCF, welcomed interest in the GCF’s work and outlined the Fund’s focus on implementing 43 Board-approved projects in 2017. 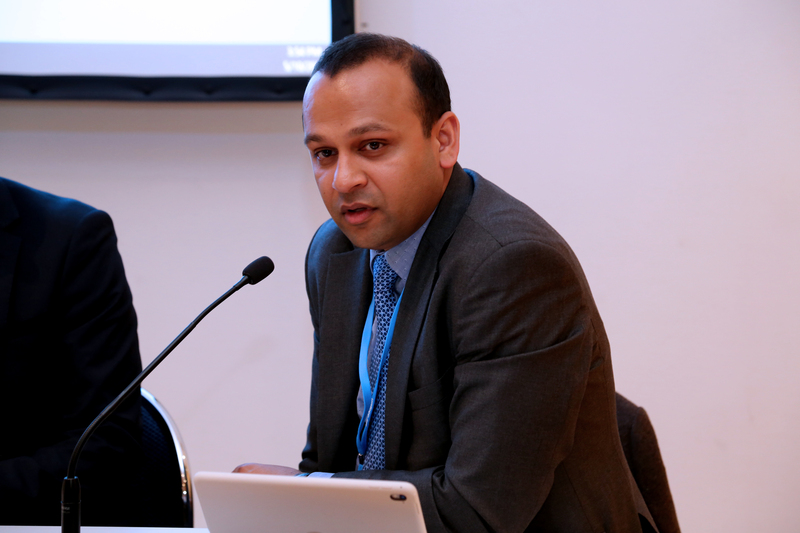 Ayman Shasly, Co-Chair, GCF Board, concentrated on the GCF’s aim to “ignite a paradigm shift” towards reducing emissions and enabling climate-resilient development. 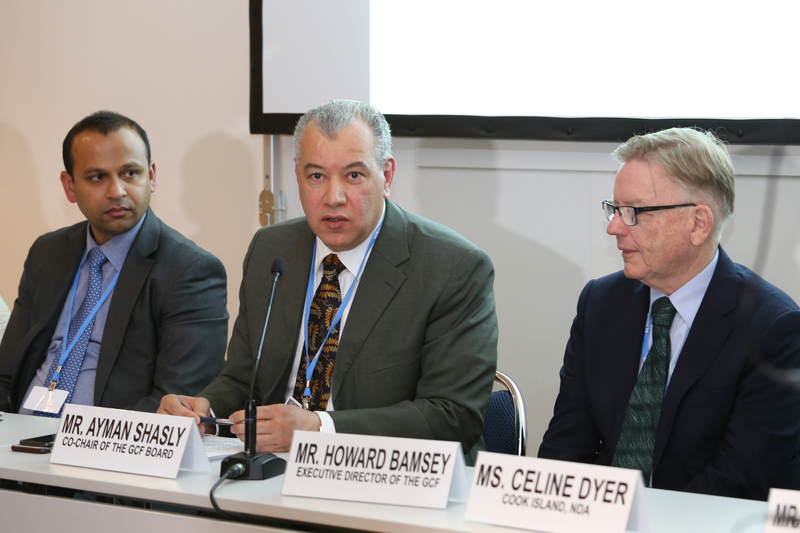 Stressing the GCF’s role as the largest organization providing funding to developing countries for adaptation and mitigation action, he announced “great progress” towards the Board’s recently approved workplan. Shasly said that in 2017, the Board is scheduled to consider, inter alia: new funding proposals; potential accredited agencies; and matters relating to the formal replenishment process. 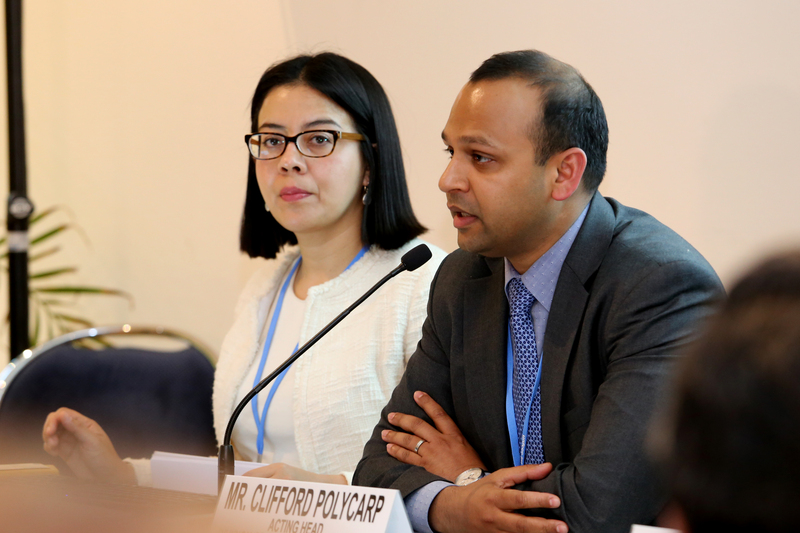 Announcing that the Fund has approved US$2.2 billion in funding for 43 projects, Clifford Polycarp, GCF, highlighted these projects’ mitigation impacts of 981 MtCO2eq and adaptation impacts reaching 281 million beneficiaries. He stressed the GCF’s aim for geographic balance and even split between adaptation, mitigation and cross-cutting initiatives. Jeremiah Sokan, NDA, Liberia, detailed Liberian engagement with the GCF to date, including: GCF Readiness Support; National Adaptation Plans’ Readiness Support; and a US$50 million proposal currently proceeding through the Project Preparation Facility guidelines. He outlined Liberia’s principles of engagement with the GCF, including: a pragmatic programme planning approach; a transparent partnership with frequent consultation; and continuous engagement and communication. Celine Dyer, NDA, Cook Islands, highlighted challenges small island developing States face in familiarizing themselves with the procedures, policies and regulations for GCF proposals with limited manpower and minimally detailed guidelines. She suggested a longer timeframe for preparation of readiness proposals and consideration of a streamlined approach similar to that of the Adaptation Fund. 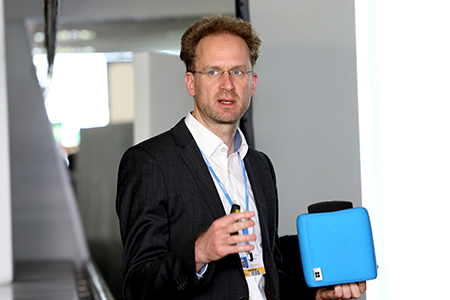 Jukka Uosukainen, Climate Technology Centre and Network (CTCN), underscored the need to enhance the linkages between the UNFCCC Technology Mechanism and the Financial Mechanism of the Convention. Reporting that the CTCN has received 180 technology and technical assistance requests from countries, he emphasized the importance of these requests’ potential to lead to high-quality proposals to the GCF. Uosukainen highlighted projects in Tonga, Ghana and Myanmar that have been piloted as readiness proposals. During the ensuing discussion, participants addressed, inter alia: GCF bilateral agreements regarding privileges and immunities; mainstreaming principles of climate resilience and transformational change across sectors; obstacles to the roll out of reducing emissions from deforestation and forest degradation and the role of conservation, sustainable management of forests and enhancement of forest carbon stocks in developing countries (REDD+) results-based finance; and no-objection procedures as a way to address questions of country ownership. 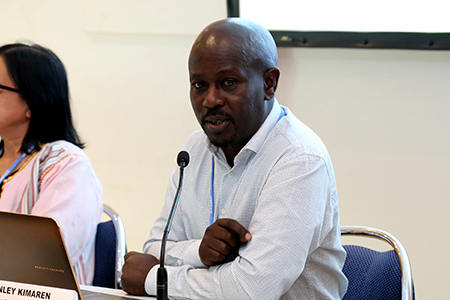 Clifford Polycarp, GCF (right), said that the GCF’s healthy accreditation pipeline “signals a great deal of interest” on the part of institutions. 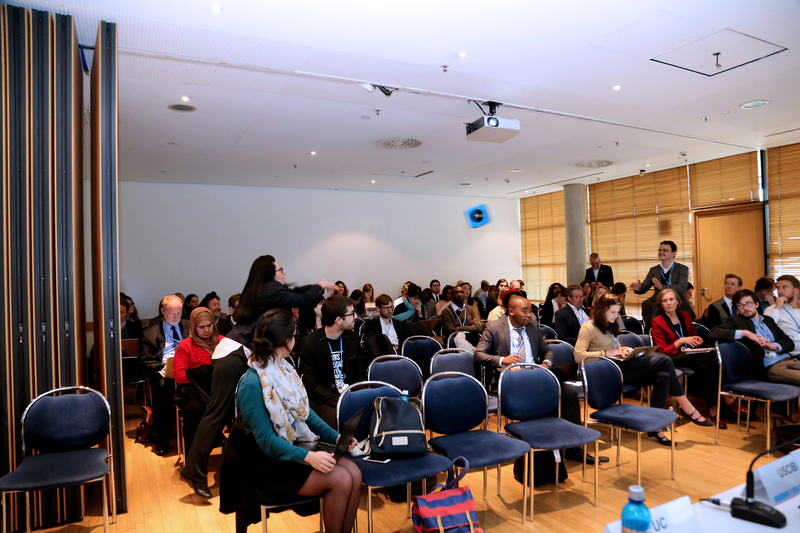 This side event centered on a just transition of the workforce and the creation of decent work in the context of global climate change action, including collaboration between the UNFCCC and the International Labour Organization (ILO) in this area. It was moderated by Moustapha Kamal Gueye, ILO. 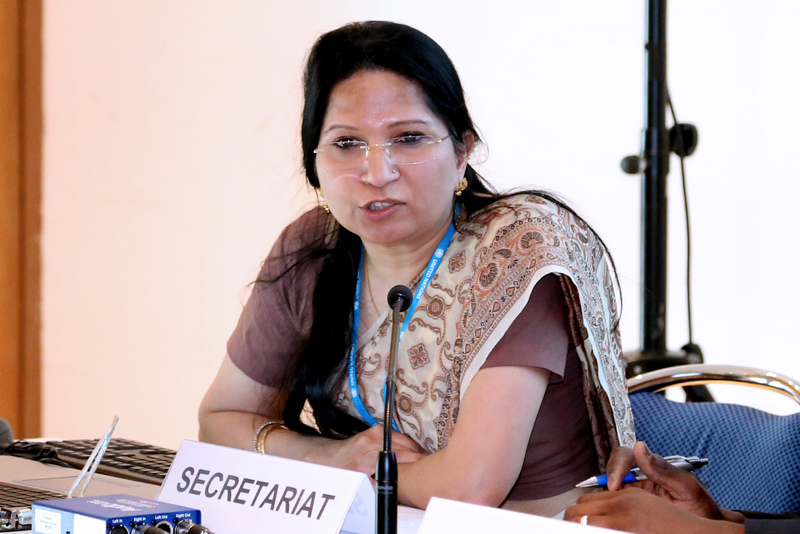 Kusum Lata, UNFCCC Secretariat, introduced the topic, highlighting the meeting of an ad hoc technical expert group to consider the two areas of the work programme on response measures taking place at the Bonn Climate Change Conference from 9-10 May 2017, and its focus on economic diversification and transformation, as well as just transition of the workforce and the creation of decent work and quality jobs. Albert Altarejos Magalang, Department of Environment and Natural Resources, the Philippines, noted the key role of mining in his country and the need to engage with stakeholders to facilitate a shift towards a more environmentally sustainable economy. Alexandria Rantino, Department of Foreign Affairs and Trade, Australia, discussed her country’s efforts to support a just transition, including through research and development tax breaks for businesses to help them move away from particular sectors, and the national employment service ‘jobactive,’ which connects jobseekers with employment opportunities. Underlining that “there are no jobs on a dead planet,” Anabella Rosemberg, International Trade Union Confederation (ITUC), highlighted ITUC’s work in raising awareness of adverse impacts of climate change on jobs, such as: promoting green work places; inclusion of the “just transition” concept in Nationally Determined Contributions (NDCs); and forging linkages between Sustainable Development Goals (SDG) on climate change and decent work. Norine Kennedy, US Council for International Business (USCIB), highlighted the importance of: involving the business community in NDC development; improving representation of developing country business communities in these discussions; and bringing jobs into the formal economy. 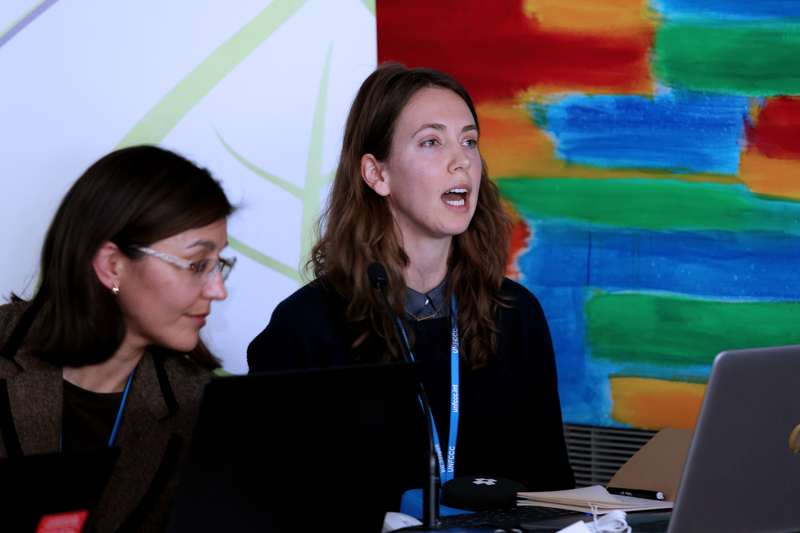 In the ensuing discussion, participants considered, inter alia: how to ensure a just transition in a geographical area highly dependent on one industry; who should pay for such a transition; the fact that most green sectors are going to be male-dominated unless there are concerted efforts to address this; and the efforts of the European Trade Union Confederation to promote a “just transition fund” in the context of reform of the European Union’s Emissions Trading System, as well as the Confederation’s work to help members develop their own just transition strategies. 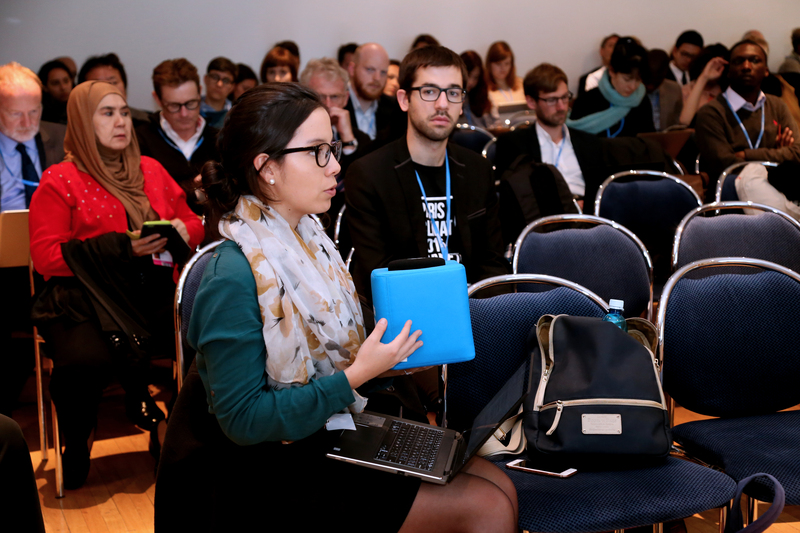 Participants also highlighted the need for: communities to be able to shape their own future; companies to “show the world their plan for a 2°C world”; and social justice to guide climate change and employment work. 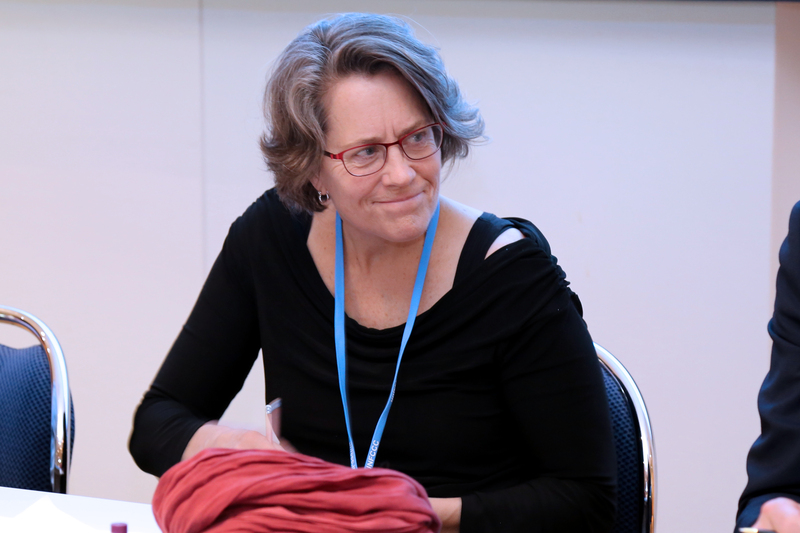 Annabella Rosemberg, ITUC, explained that the idea of “just transition” emerged as an alternative to the “fake dichotomy” between jobs and the climate. 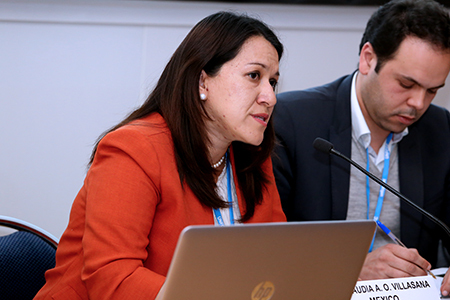 Alexandria Rantino, Department of Foreign Affairs and Trade, Australia, highlighted investments of AUS$43 million to support the Latrobe Valley community in Victoria towards a just transition following the closure of its Hazelwood coal power station. Kusum Lata, UNFCCC Secretariat, noted that the Paris Agreement is expected to affect many different employment sectors, albeit in different ways. 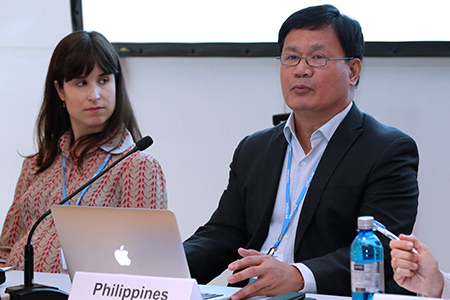 Albert Altarejos Magalang, Department of Environment and Natural Resources, the Philippines (right), highlighted his country’s 2016 Green Jobs Act to support businesses in generating and sustaining green jobs. Moderator Moustapha Kamal Gueye, ILO, emphasized that “just transition” is not an abstract concept, but refers to “real-life situations” that require solutions. Norine Kennedy, USCIB, stressed the need to bring together the different “camps” of business on the one hand, and employment on the other. 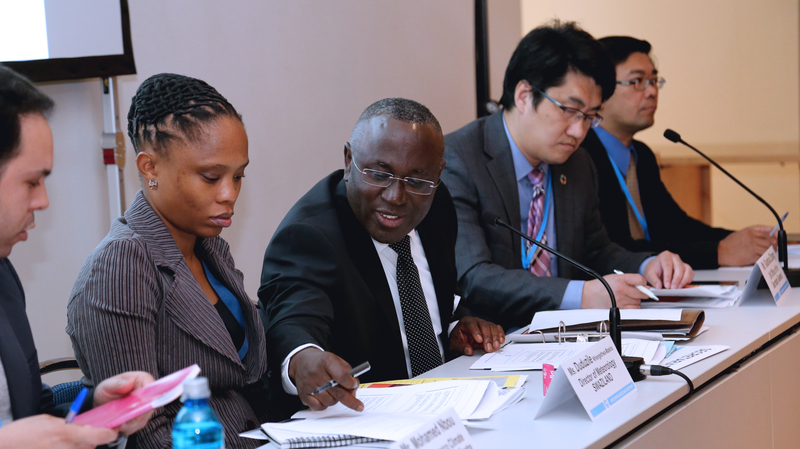 This side event, moderated by William Agyemang-Bonsu, UNFCCC Secretariat, addressed South-South cooperation (SSC) and ways in which it can support implementation of the Paris Agreement and the 2030 Agenda. Agyemang-Bonsu noted that SSC provides an additional opportunity for developing countries to address the numerous implementation challenges they face in relation to the Paris Agreement and the 2030 Agenda. Xiaohua Zhang, Southern Climate Partnership Incubator (SCPI), UN Executive Office of the Secretary-General (EOSG), and Bernd Hackmann, UNFCCC Secretariat, launched a report on SSC in the areas of sustainable development and climate change, prepared jointly by the EOSG and the UNFCCC Secretariat. Zhang explained that the report discusses how SSC and triangular cooperation (TrC) can create co-benefits for the implementation of the Paris Agreement and achievement of the Sustainable Development Goals (SDGs). 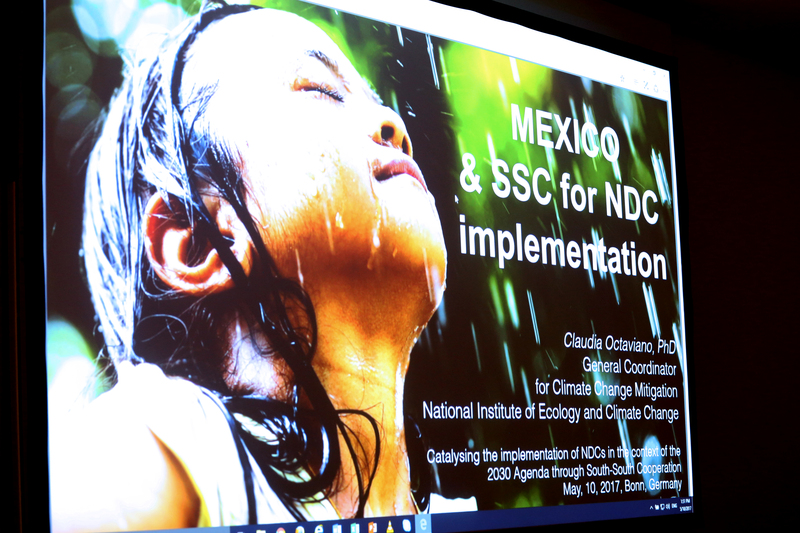 Noting that SSC is about complementary work as well as knowledge exchange, Hackman identified linkages between the Nationally Determined Contributions (NDCs) and SDGs and said most SDGs have already been included in many countries’ NDCs. 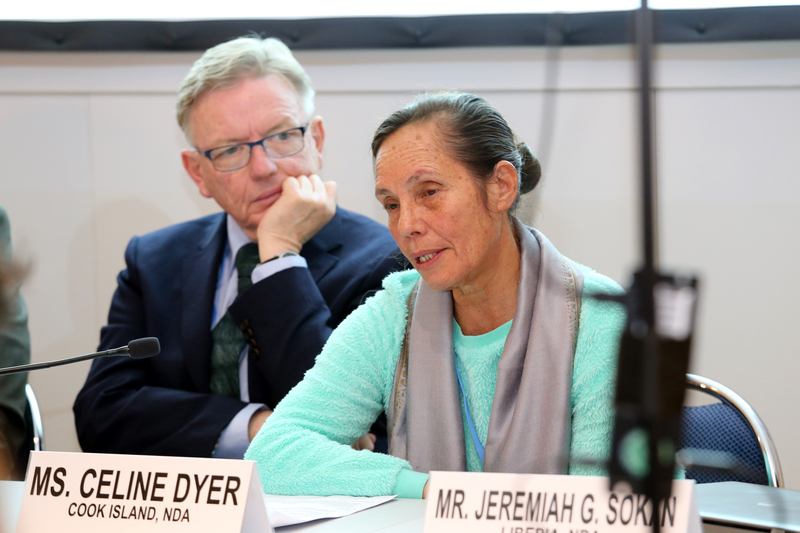 On the way forward, they stressed the need to, inter alia: mainstream climate action into sustainable development strategies; consider NDCs as an entry point for SSC on climate action and sustainable development; and foster broader partnerships. 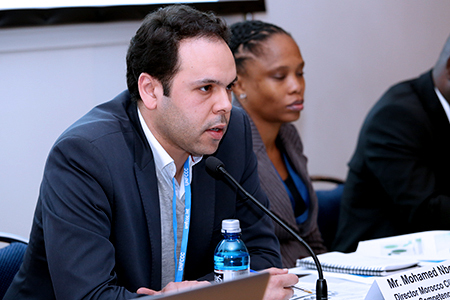 Omar Zemrag, Morocco, discussed NDC implementation in his country. He noted that the SDGs are already incorporated in Morocco’s sustainable development strategy, and underscored stakeholder mobilization through public-private partnerships (PPPs) and consultation platforms. Claudia Octaviano Villasana, Mexico, shared SSC experiences from her country and called for new ways of cooperation, stressing the need to “scale up and innovate the way we do development.” She emphasized that Mexico was the first country to submit its NDC and mid-century strategy (MCS). Noting that Mexico promotes SSC by creating materials that can be shared globally, she gave numerous examples of SSC and TrC in her country, including an upcoming regional workshop on the design and elaboration of MCSs to be held in Mexico City in June 2017. Duduzile Nhlengethwa-Masina, Vice Chair, Technology Executive Committee (TEC), introduced the TEC’s work on SSC, including the forthcoming 2017 TEC policy brief on SSC and TrC on adaptation technologies, which recommends, inter alia: that multiple stakeholders work together; enhanced institutional support and linkages between climate change and other development areas; and better use of global mechanisms and international networks. Vicente Paolo Yu III, Deputy Executive Director, South Centre, presented on the South Centre’s global landscaping survey of SSC on climate change to be finalized before the 23rd session of the Conference of the Parties to the UNFCCC (COP 23). He noted that developing countries view SSC as a voluntary complement enhancing North-South cooperation that has a strong focus on shared economic growth and poverty reduction, while promoting the objectives of the Paris Agreement and the SDGs. In the ensuing discussion, participants discussed, among other issues: ways for SSC to help integrate climate action into development strategies; SSC modalities; ways to facilitate knowledge exchange and sharing; and contextualizing the sustainable development-climate change nexus from the means of implementation perspective. Xiaohua Zhang, SCPI, EOSG, launched an EOSG/UNFCCC Secretariat joint report on SSC in the areas of sustainable development and climate change. 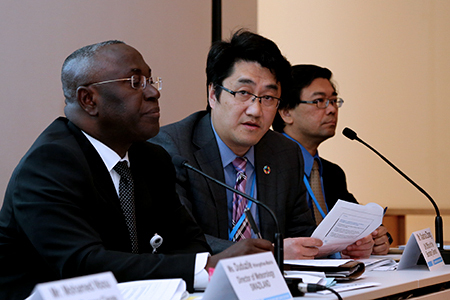 William Agyemang-Bonsu, UNFCCC Secretariat (center), said SSC can support the implementation of the Paris Agreement and the 2030 Agenda. Omar Zemrag, Morocco, highlighted stakeholder mobilization through PPPs and consultation platforms in his country. Duduzile Nhlengethwa-Masina, Vice Chair, TEC, elaborated on the TEC’s planned further work on SSC, including the development of a good practice guide on South-South practical learning on adaptation technologies. 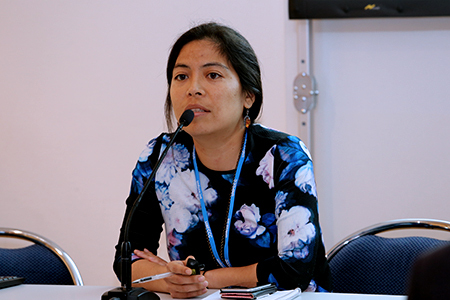 Claudia Octaviano Villasana, Mexico, noted that Mexico promotes SSC by creating materials on ecosystem-based adaptation that can be shared globally. Anne Perrault, RRI, outlined her organization’s recent analysis of the GCF project approval process, noting that “now is a good time” to assess if projects are achieving the GCF objectives to shift to low-emission and climate-resilient development. She addressed key issues, including: application of standards; identification and categorization of risk; free, prior and informed consent; consultation and participation; and monitoring and grievance mechanisms. Stanley Kimaren Ole Riamit, Executive Director, Indigenous Livelihoods Enhancement Partners (ILEPA), underscored that the situation of indigenous peoples presents unique challenges that “state-centered and state-driven climate financing approaches do not adequately address.” He identified shortcomings in GCF engagement with indigenous peoples, including: lack of recognition of indigenous peoples as an independent constituency with active observer status; failure of GCF interim safeguard standards to align with current best practices with respect to indigenous peoples’ rights and concerns; and GCF funding modalities that prohibit indigenous peoples’ access to funding. Grace Balawag, Tebtebba, presented on community-based monitoring and information systems (CBMIS), including: participatory mapping; resource inventories; conscious direct observation; and interviewing and focus groups. 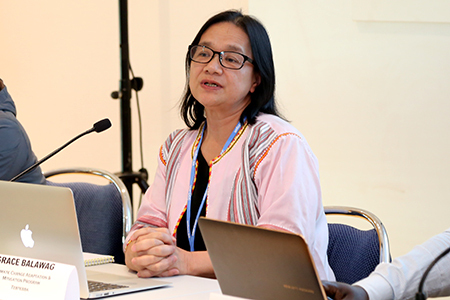 She emphasized that CBMIS is an important community tool for indigenous peoples’ empowerment and meaningful participation in planning, implementation and monitoring of project impacts. 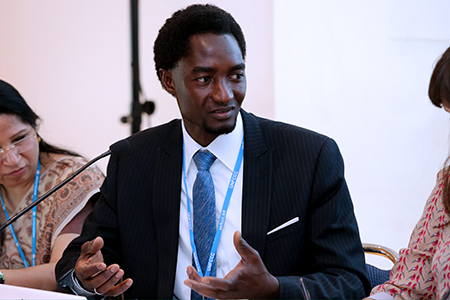 Clifford Polycarp, GCF, stressed that the Fund aspires to remain a “continuously learning institution” and ensure that its policies and standards are “state of the art.” Acknowledging the need for transparency, he said that the GCF has added covenants to its assessments requiring entities to engage in broader stakeholder engagement. 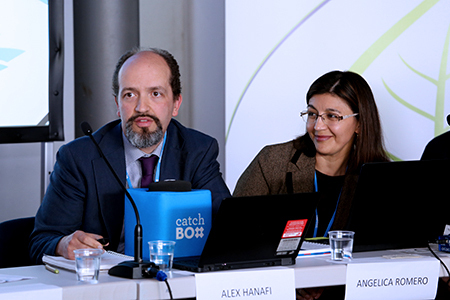 During the ensuing discussion, participants addressed, inter alia: the GCF’s “fit-for-purpose” accreditation system; challenges in reaching consensus on the GCF Board; and the logic of post-mitigation risk categorization. Responding to concerns about challenges of access to and delays in disbursement of GCF funding, Polycarp emphasized the GCF’s efforts to: close policy gaps; accelerate disbursement of funds; and accelerate capacitation of countries and entities. 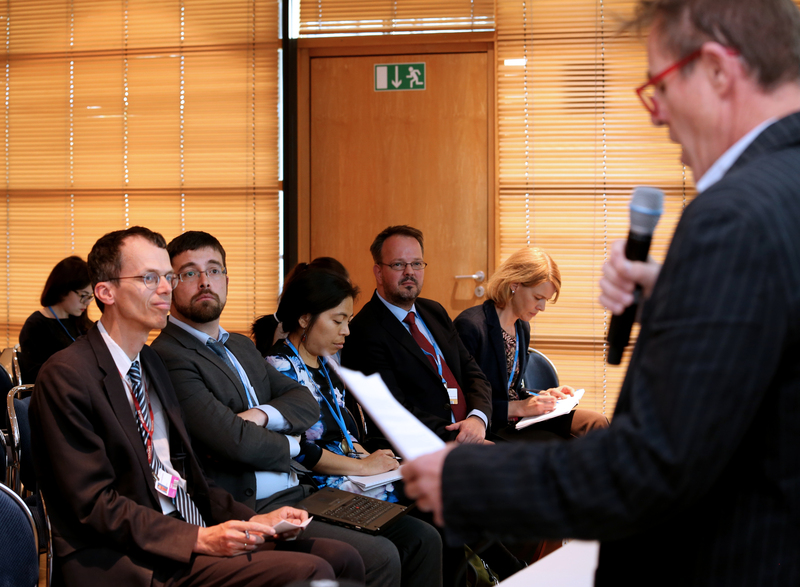 This side event addressed ways to ensure that emission reductions used by airlines to comply with the Carbon Offsetting and Reduction Scheme for International Aviation (CORSIA) established by the International Civil Aviation Organization (ICAO) are not also counted by governments toward meeting their Nationally Determined Contributions (NDCs) under the Paris Agreement. 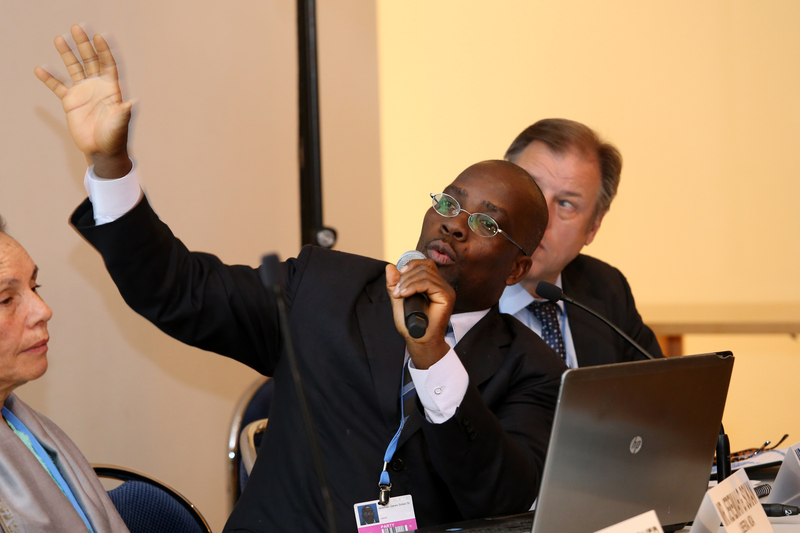 Aki Kachi, Carbon Market Watch, moderated the event. Christina Jane Hood, International Energy Agency (IEA), focused on avoiding double counting under the Paris Agreement, outlining challenges including the diversity of NDCs, the use of different metrics and NDCs’ reliance on a target year whereas markets operate in a continuum. Calling for robust accounting of international transfers, Lambert Schneider, Stockholm Environment Institute (SEI), explained how double counting is addressed by the Clean Development Mechanism (CDM) and voluntary standards. He pointed out that while double issuance and double use are avoided, double claiming remains unaddressed. 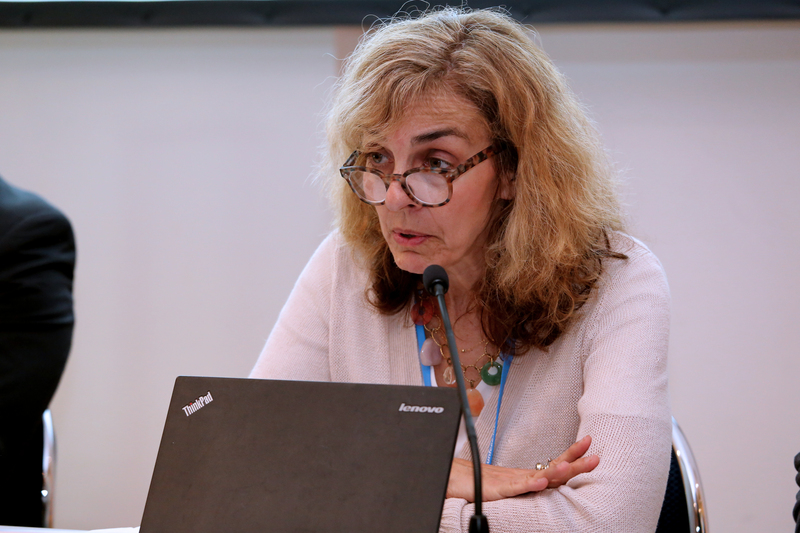 Schneider concluded that double claiming is a major risk for CORSIA, which can be addressed through adjustments, but requires action by CORSIA as well as the UN Framework Convention on Climate Change (UNFCCC). Alex Hanafi, EDF, addressed the role of transparency in making climate agreements work, noting that, while CORSIA and the Paris Agreement fall under different international processes, they relate to the same goals. 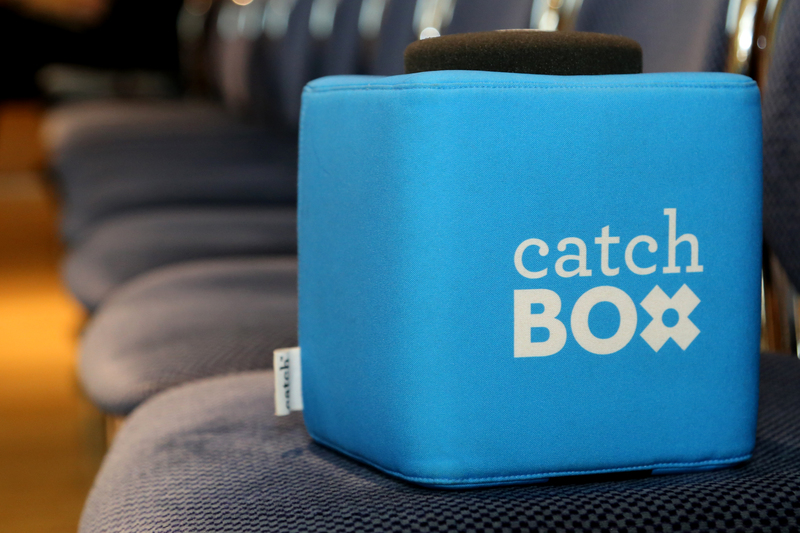 He said lessons from other environmental markets include the need for: public disclosure of operators’ annual emissions and offset obligations; transparent and accurate tracking of each uniquely identified emission unit; and an open decision-making process. Hanafi emphasized that integrity of the Paris Agreement depends on CORSIA transparency. Angelica Romero, Chile, presented her country’s perspective, emphasizing the need for robust accounting and avoiding double counting. Stressing the need for transparency, she called for monitoring, reporting and verification (MRV) systems to secure tracking of emission units from purchase to transfer, use and surrender. 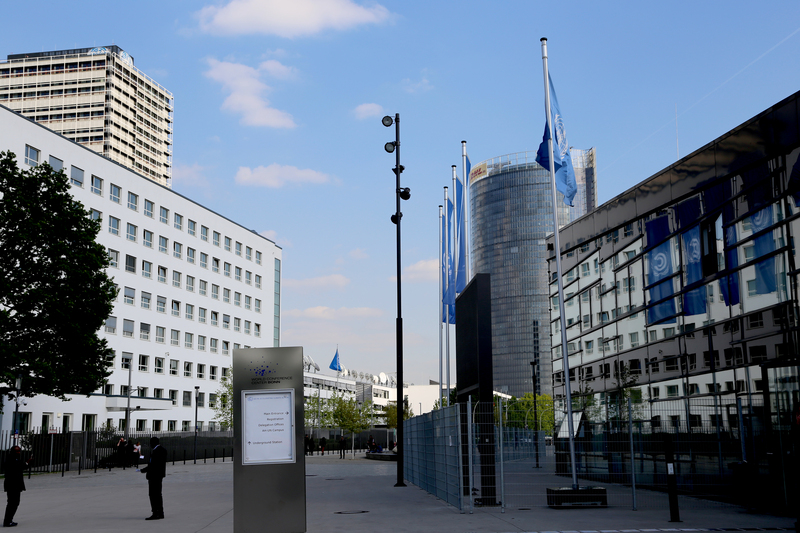 Romero reported on roundtable discussions held in Chile among ICAO and Paris Agreement negotiators to develop a working MRV system. 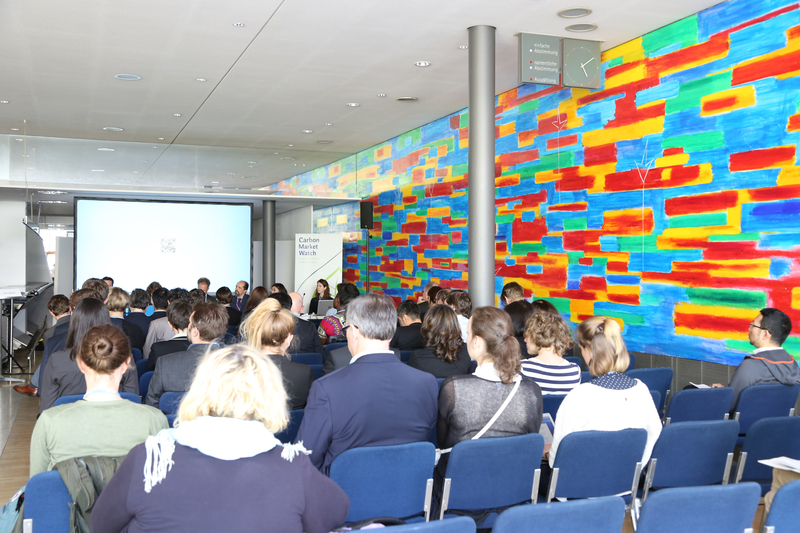 In the ensuing discussion, participants addressed, inter alia: double claiming in voluntary standards; the future of the CDM and potential “gray zones” when double counting cannot be assessed; ways to ensure that airlines buy quality units; implications of offsetting permanent emissions with non-permanent ones; and ways to ratchet up ambition. Lambert Schneider, SEI, observed that the diversity of NDCs and Cancun pledges poses practical challenges for applying adjustments. 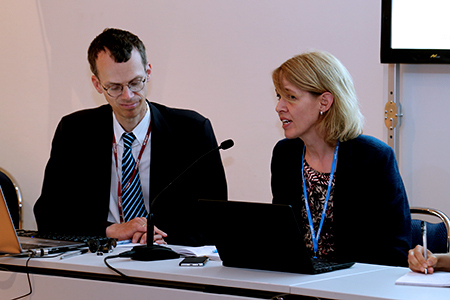 Kelsey Perlman, Carbon Market Watch (right), noted that addressing double counting is a burden-sharing exercise for the UNFCCC and ICAO. Aki Kachi, Carbon Market Watch, moderated the side event. This event, moderated by Richard Klein, SEI, considered the scope for private sector finance to support mitigation and adaptation in sub-Saharan Africa (SSA), and presented initial findings of the Private-Sector Finance for Nationally Determined Contribution Implementation in Sub-Saharan Africa (PRINDCISSA) project. 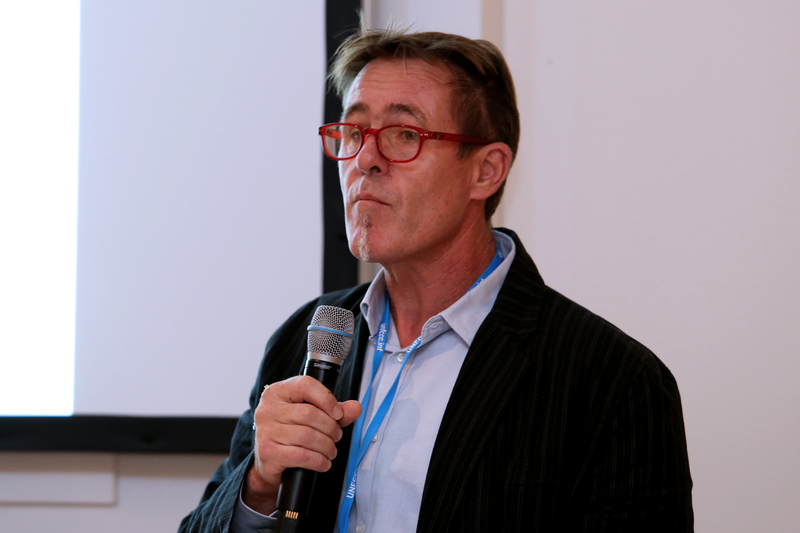 Characterizing southern Africa’s severe multi-year drought as “likely the new normal,” John Thorne, SSN, underlined that private sector investment will be needed to take adequate climate change mitigation and adaptation action. He highlighted sovereign risk, in particular from exchange rate fluctuation, as a key challenge to such investments, and identified Ethiopia’s policy environment and South Africa’s renewable energy programme as being amenable to investment. 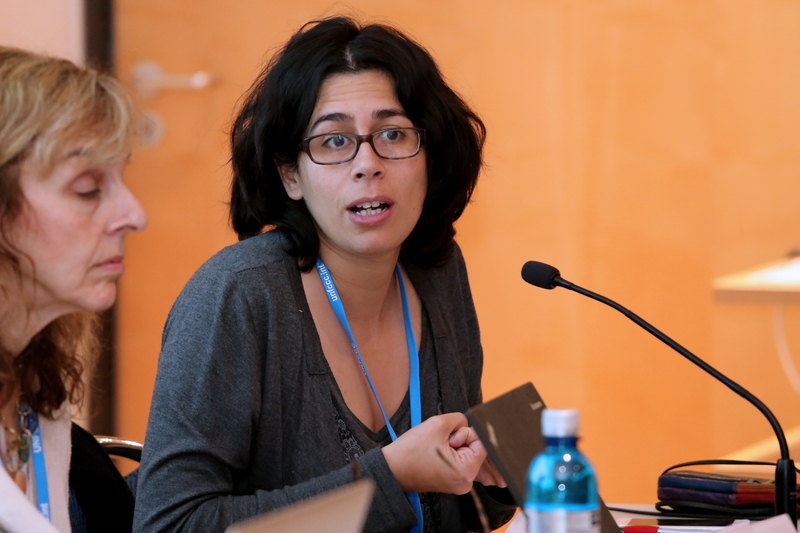 Nella Canales, SEI, highlighted agriculture as an adaptation priority in SSA countries’ NDCs. 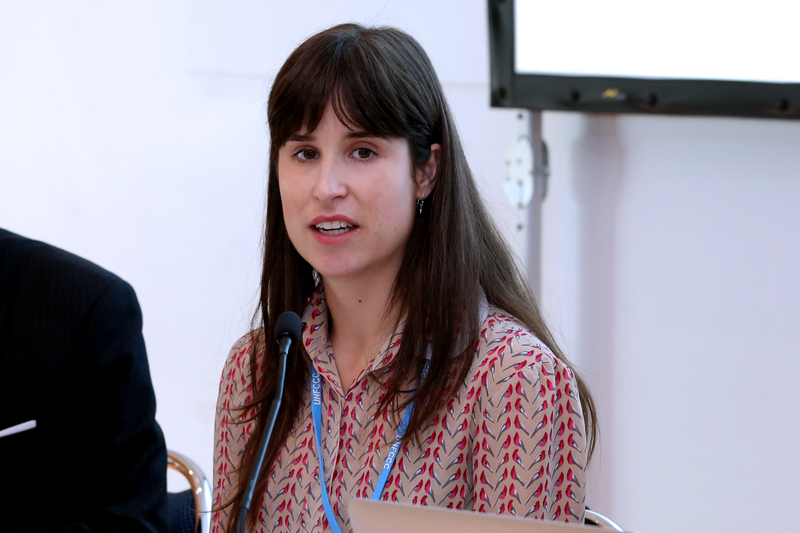 Among emerging findings of the PRINDCISSA project, she noted: the need for additional detail on how governments want private actors to become involved beyond what is currently provided in NDCs; and the need for further work on how to establish “win-win” public-private partnerships. 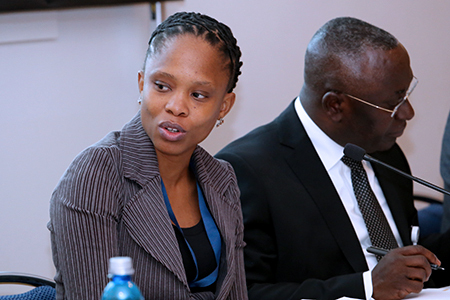 Xolisa Ngwadla, Council for Scientific and Industrial Research (CSIR), noted that most projects comprise a blend of public and private funding, and underlined the importance of appreciating the different development and economic contexts facing SSA countries. Sara Gräslund, Swedish International Development Cooperation Agency (SIDA), highlighted that while Sweden’s grant support remains substantial, her country is additionally mobilizing private climate finance, including through guaranteeing financing partners’ investment risk. The ensuing panel discussion was moderated by Axel Michaelowa, Perspectives Climate Change. 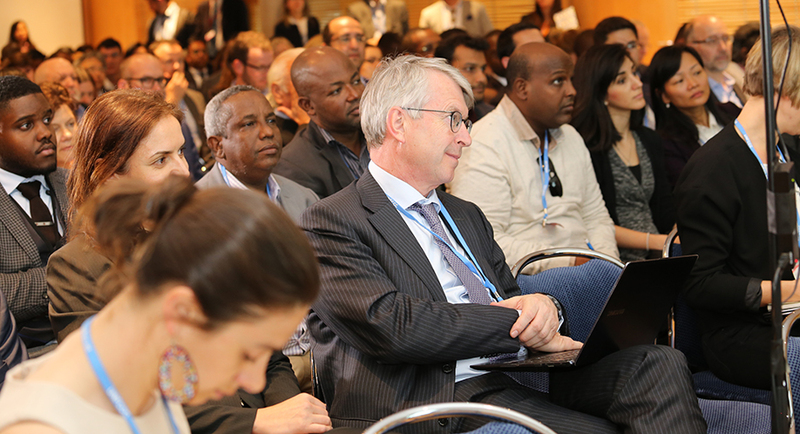 Among other issues, panelists identified the need to: learn from success factors of existing projects, such as the Africa Adaptation Initiative, and improve coordination between different initiatives; ensure local markets are not undermined by an emphasis on international investment; and experiment and “take some risks” with different instruments in order to catalyze adaptation investments. 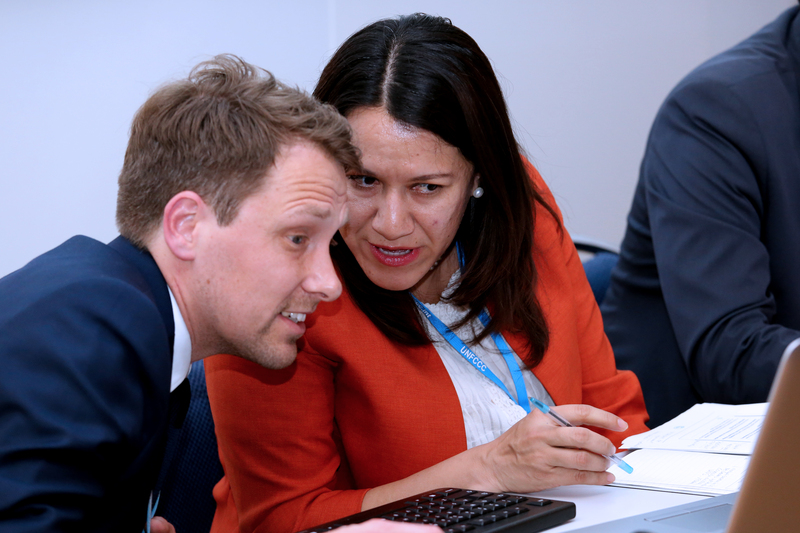 Participants also identified: the UNFCCC negotiating process as an “enabler” to allow countries to develop policies informed by the global discourse; the CDM as amenable to innovation; and auctioning as an approach that can significantly lower renewable energy costs. (L-R): Axel Michaelowa, Perspectives Climate Change; Sara Gräslund, SIDA; Nella Canales, SEI; Xolisa Ngwadla, CSIR; Stephan Hoch, Perspectives Climate Change; and John Thorne, SSN. 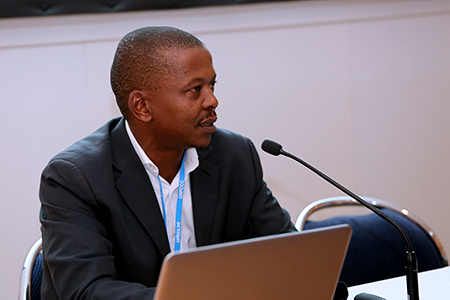 Xolisa Ngwadla, CSIR, recommended considering how multilateral financing bodies, such as the GCF, can contribute to already-existing national disaster relief funds to support farmers in SSA. 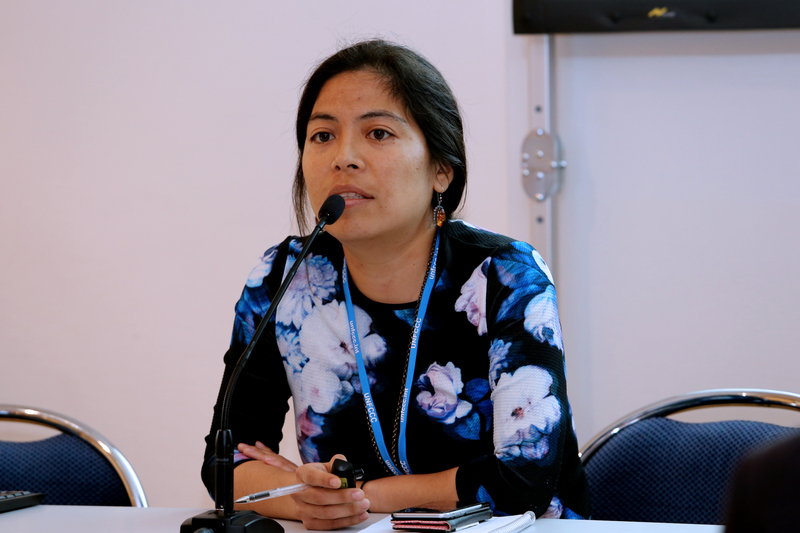 Nella Canales, SEI, noted that, when it comes to adaptation interventions, the private sector plays a role in all aspects of the value chain. 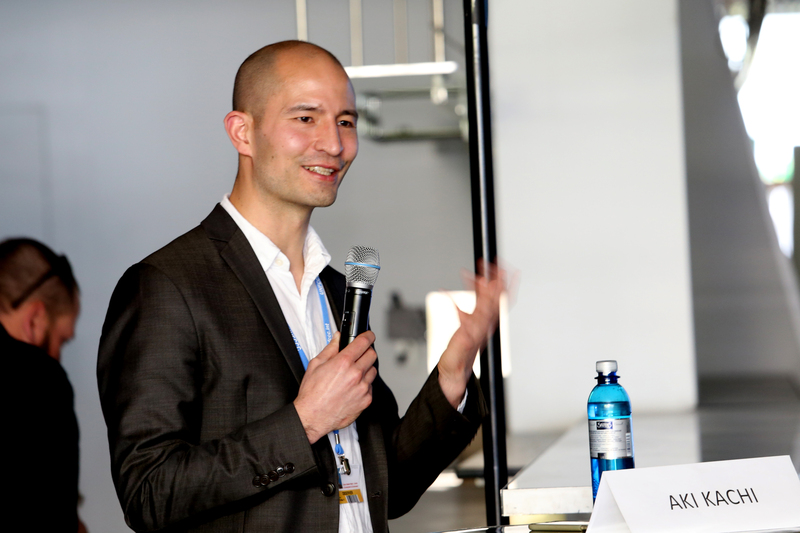 John Thorne, SSN, stressed the potential efficiency advantages of private sector capital.